How many episodes of Entourage have you seen? Ari Gold: 'Cause I know all, and I could have told you that this would end badly. Now I gotta fire her so you don't feel weird. Ari Gold: All right. Well, I'll just sexually harass her until she quits. Q: What kind of car are they driving in the intro? Q: Is Turtle's real name ever revealed? Q: What happened to Billy Walsh and the movie Lost in the Clouds/Silo? 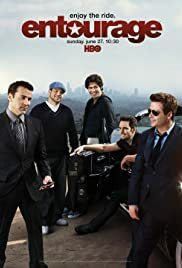 Entourage follows the great HBO series tradition of sharp cutting edge comedy and, as other HBO shows have been, addictive. The first season was a trial balloon for this very hip, and hip hop, version of life in the fast lane. It succeeded better than HBO envisioned. The second season was a full 15 episodes and now fans are eagerly awaiting Season 3 in June. The storyline is not new, just well conceived in this fast paced and energetic venue. 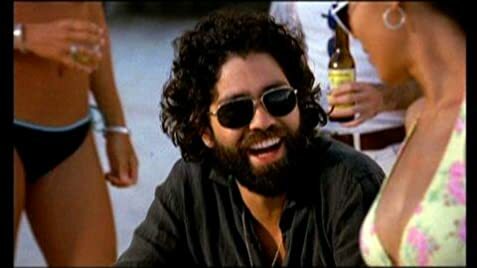 Vincent Chase, played very well by Adrian Grenier, is the "IT" new actor in Hollywood. Surrounded by his "entourage" including his brother Johnny "Drama" Chase(played by Kevin Dillon), the erstwhile Turtle (played by Jerry Ferrara), and Eric "E" (played by Kevin Connolly. Like most modern day posse's these boys serve specific roles in their support of their guy. Vince is, after all, the meal ticket and these guys know it to varying degrees. 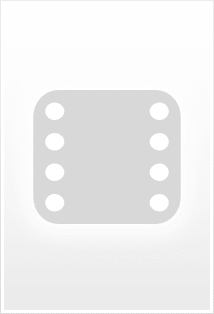 "E" has assumed the role of Vince's Manager since he is quick witted, knows people, and has Vince's undying trust. As a former manager of a Sbarro's Restaurant in Queens, NY he has all the qualifications, at least for Vince! Yet "E" is intuitive and handles himself well among the sharks in LA. "Drama" preceded Vince to Hollywood having starred in the 90's TV show Viking Quest. But Johnnie's career never took off and hit the skids a while back but with Vince's help he'll get the chance to show his stuff as a bit player in all of Vince's projects. He also serves as the family cook. Turtle is the ultimate hanger-on. His role is that of "gopher" or a man servant who does all the menial chores around the house. However, toward the end of the second season Turtle begins to spread his wings and shows he may have some real street smarts as well. Keeping this vehicle moving in the right direction is Ari Gold, Vince's agent, played brilliantly by Jeremy Piven. Ari is a fast talking, on top of the game and industry action agent who has finally found his actor that can catapult him to the top of the agent game. He resents "E" because they have diametrically opposite backgrounds in as much as Ari has an MBA and J.D. from Harvard and has paid his dues while "E" was born in the right neighborhood near Vince. But Ari learns that he can't steamroll "E" as Vince ultimately trusts his best friend more than anyone in the world. Other characters of note are Shauna, played by Debi Mazur. Shauna is, like Ari, very sarcastic and witty and clearly has a vision as Vince's publicist as to what and how she wishes Vince to be shown in the public. A myriad of Hollywood A,B, and C list people show their faces in cameo's as they interact with Vince and the guys. Romance, ego, opportunity, greed, and family love all play out in the fastest paced half hour ride you'll have in a long time. HBO is now replaying Season 1 and then Season 2 before premiering the third season and if you have not yet experienced this show you owe it to yourself. See if you don't get hooked by it as well................a quick hint as to one of the hooks that got me...in the first episode the guys are wondering if they're gonna go back to Queen's for their High School reunion. They decide to do so and at the end of the show we see them getting ready to depart for the airport. We see Turtle wearing a Bayside High School letterman jacket and Vince is wearing a hooded sweatshirt with BAYSIDE written across the front. That is where I went to High School so my connection was set. 65 of 88 people found this review helpful. Was this review helpful to you?